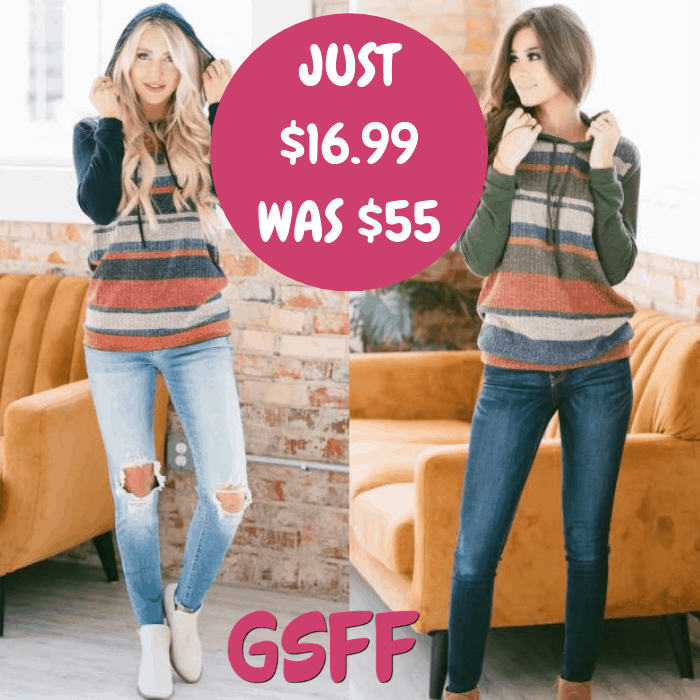 Fenton Striped Pullover Just $16.99! Down From $55! Shipped! You are here: Home / Great Deals / Fenton Striped Pullover Just $16.99! Down From $55! Shipped! For a limited time only! Jane is offering this Fenton Striped Pullover for only $16.99 down from $54.99 PLUS FREE shipping! You’re gonna love the comfort of the new Fenton Striped Pullover! You’re gonna love the fun design on the torso, as well as the drawstring hood and semi-loose fit, making it both unique and so comfortable! This pullover also features the softest fabric and is available in a variety of colors! It’s a must-have this season!